Konferansene, workshops og møter ble avholdt fra 23. til 25. november, 2009. Arr: Norsk Forening for Kunnskapsteknologi. NISNet seminar: "IKT og informasjonssikkerhet: Forskning møter næringsliv." 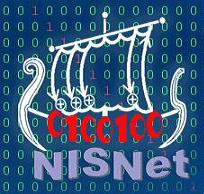 Arr: SINTEF IKT, NTNU Inst. for telematikk, Dataforeningen. Kjellerlokale på Britannia hotel, inngang til høyre ved hotellinngangen. Judith E. Y. Rossebø and Ragnhild K. Runde. Methodology for Model-Based Dynamic Composition of Services. Eva Burrows and Magne Haveraaen. Dependency-driven Parallel Programming. Martin Fagereng Johansen. Frameworks and Static-Semantic Analysis. Patrick Bours and Hafez Barghouthi. Continuous Authentication using Biometric Keystroke Dynamics. Bendik Mjaaland, Patrick Bours and Danilo Gligoroski. Gait Mimicking - Attack Resistance Testing of Gait Authentication Systems. Bendik Mjaaland, Danilo Gligoroski and Svein Knapskog. Biocryptics: Towards Robust Biometric Public/Private Key Generation. NOKIA Fellow Dr. Valtteri Niemi, NOKIA. New 3GPP security mechanisms and related lawful interception issues. Rune Havnung Bakken, Bjørn Gunnar Eilertsen, Gustavo Ulises Matus and Jan Harald Nilsen. Semi-automatic camera calibration using coplanar control points. Heri Ramampiaro. Retrieving BioMedical Information with BioTracer: Challenges and Possibilities. Ivar Conradi Østhus, Lars-Petter Gunhildsberg Hansen and Poul Heegaard. Online Broadband Test Tools. Geir Olav Dyrkolbotn and Einar Snekkenes. Modified Template Attack: Detecting Address Bus Signals of Equal Hamming Weight. Henning Siitonen Kortvedt and Stig Frode Mjølsnes. Eavesdropping Near Field Communication. Jørgen Blakstad, Rune Walsø Nergård, Martin Gilje Jaatun and Danilo Gligoroski. All in a day's work: Password cracking for the rest of us. Elin Sundby Boysen and Lars Strand. Security analysis of the SIP Handover Extension. Konstantinos Antonakopoulos and Gunnar Tufte. Possibilities and Constraints of Basic Computational Units in Developmental Systems. Terje Gjøsæter and Andreas Prinz. Preserving Non-essential Information Related to the Presentation of a Language Instance. Eyvind W. Axelsen and Stein Krogdahl. Pluggable Design Patterns Utilizing Package Templates. Anton Stolbunov. Reductionist Security Arguments for Public-Key Cryptographic Schemes Based on Group Action. Sigurd Eskeland. A Multi-Receiver Public Key Crypto System. Atle Mauland, Tord Reistad and Stig Frode Mjølsnes. Realizing Distributed RSA Key Generation Using VIFF. Keynote: Architect Jon Bratseth, Yahoo! Kai A. Olsen. Informatikkfaget - vekst og fall. Edgar Bostrøm, Ola Bø, Dag Langmyhr and Terje Rydland. Hva er behovet for kompetanseheving hos IT-lærerne i dagens videregående skole? Md. Abdul Based, Tord Ingolf Reistad and Stig Frode Mjølsnes. Internet Voting using Multiparty Computations. Md. Abdul Based and Stig Frode Mjølsnes. A Non-interactive Zero Knowledge Proof Protocol in an Internet Voting Scheme. Jon Rune Paulsen and Heri Ramampiaro. Combining Latent Semantic Indexing and Clustering to Retrieve and Cluster Biomedical Information: A 2-step Approach. Simon Jonassen and Svein Erik Bratsberg. Impact of the Query Model and System Settings on Performance of Distributed Inverted Indexes. Konrad Giæver Beiske and Jan Bjørndalen. Semantic Cache Investment. Mohamed El Ghami and Trond Steihaug. An Implementation of Interior-Point Methods Based on Kernel Functions for Linear Optimization. Finn Olav Sveen, Jose Maria Sarriegi and Jose J. Gonzalez. Incident Response and User Awareness. Finn Olav Sveen and Jose J. Gonzalez. Cascading effect affecting situational awareness in power cut failures. Jostein Jensen and Åsmund Ahlmann Nyre. SOA Security- An Experience Report.